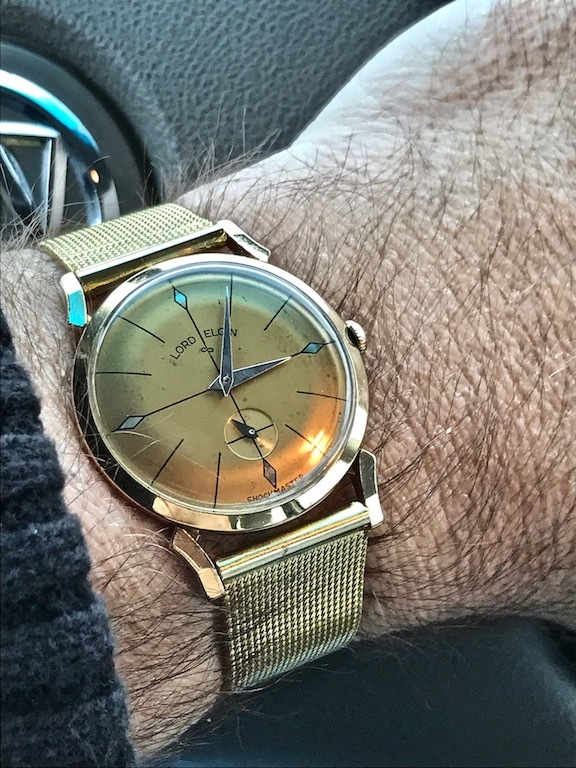 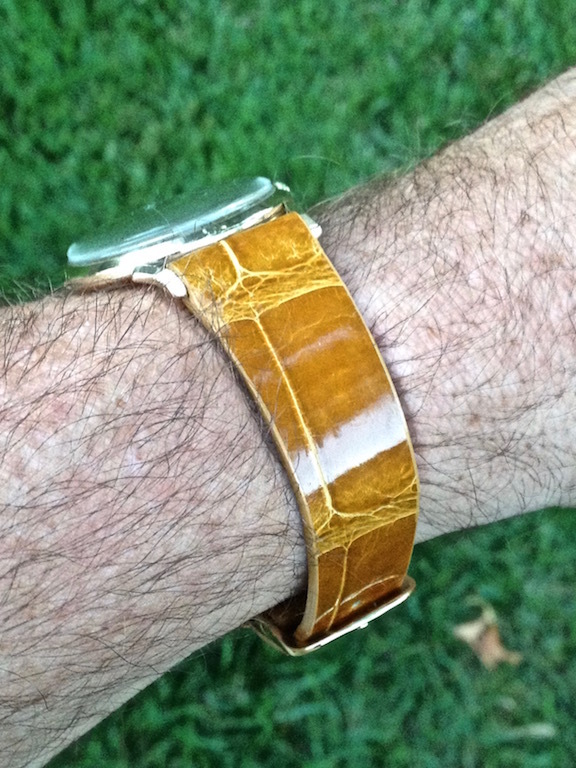 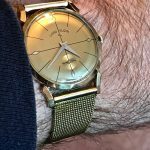 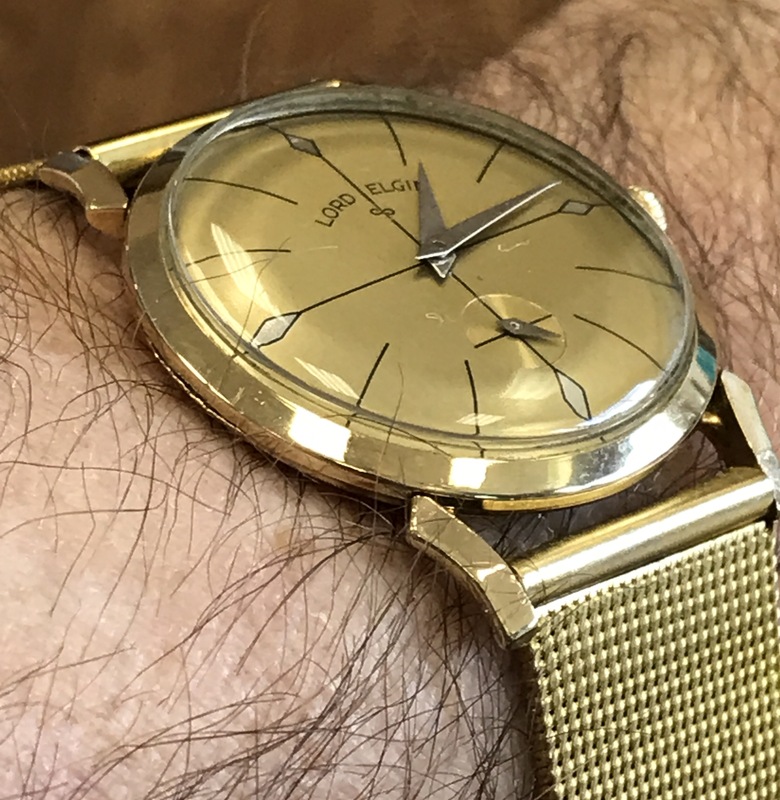 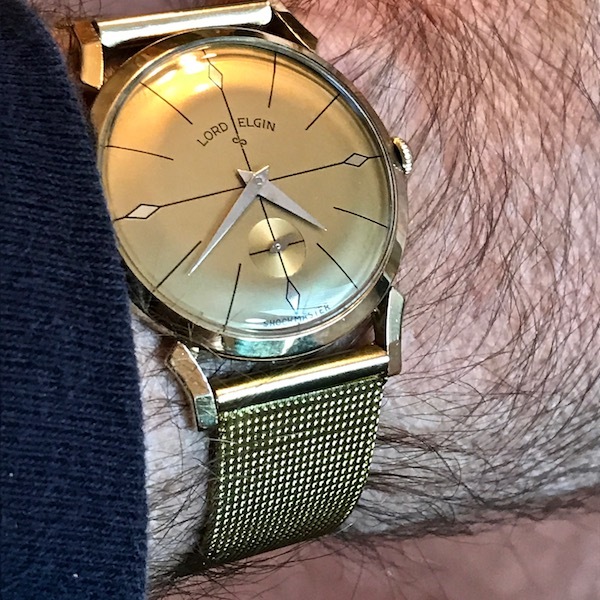 Lord Elgin Streamline | Grumpyguy Inc. 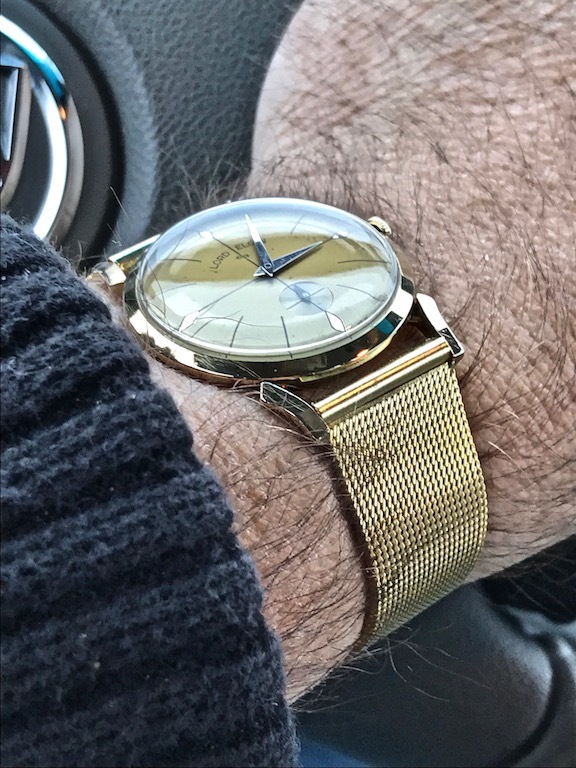 I don’t have a name for it yet. 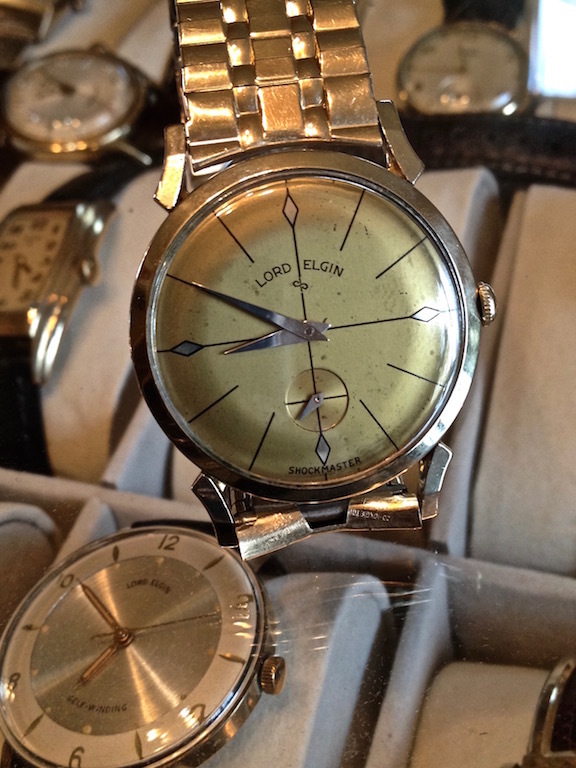 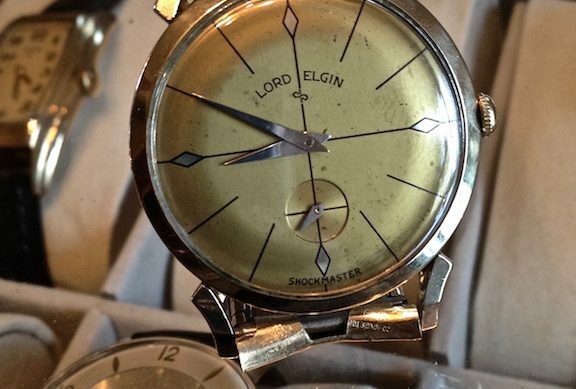 This Lord Elgin has the case number 7617. 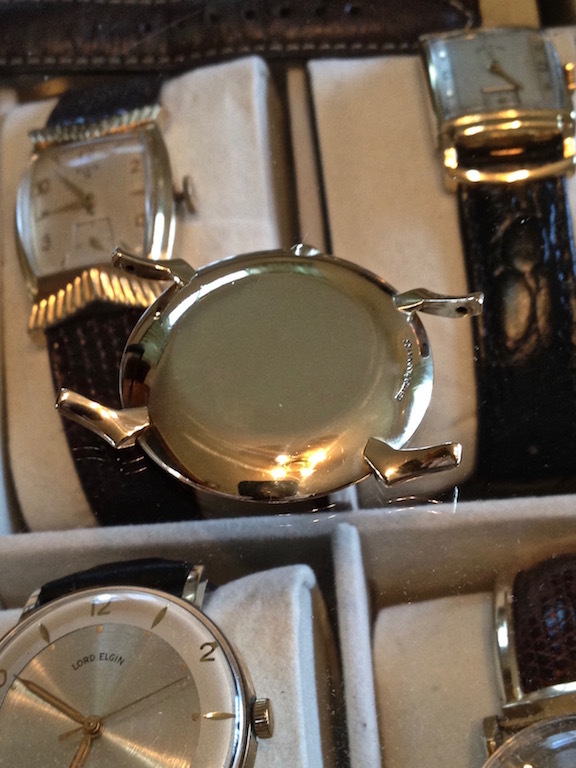 It is 14K gold filled. 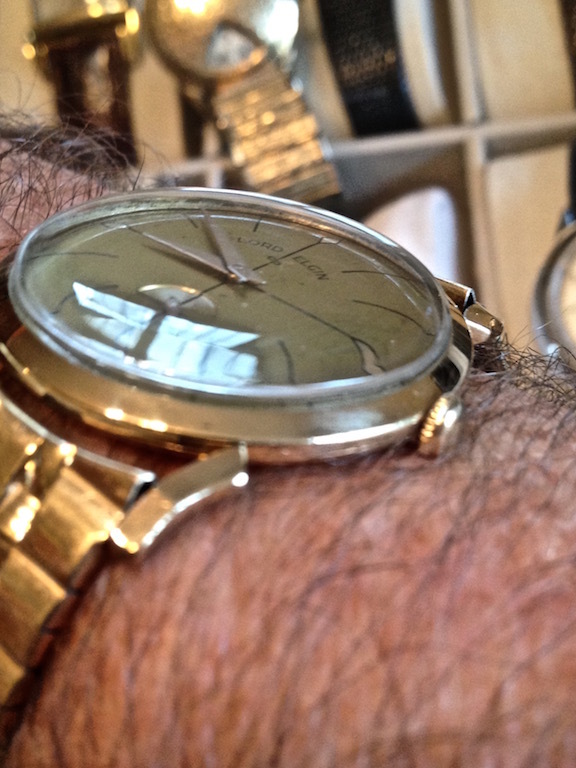 The movement is the 23 jewel, 718 movement. 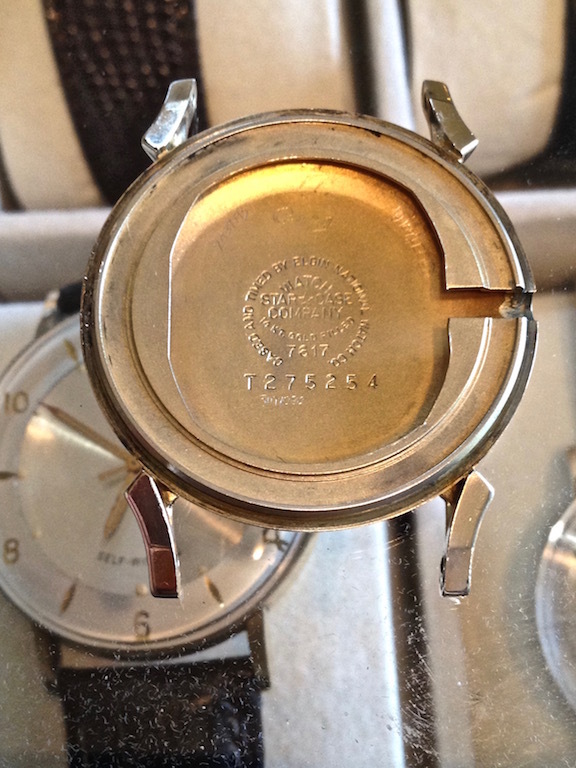 The case has interesting lugs, reminiscent of those on the Futura. 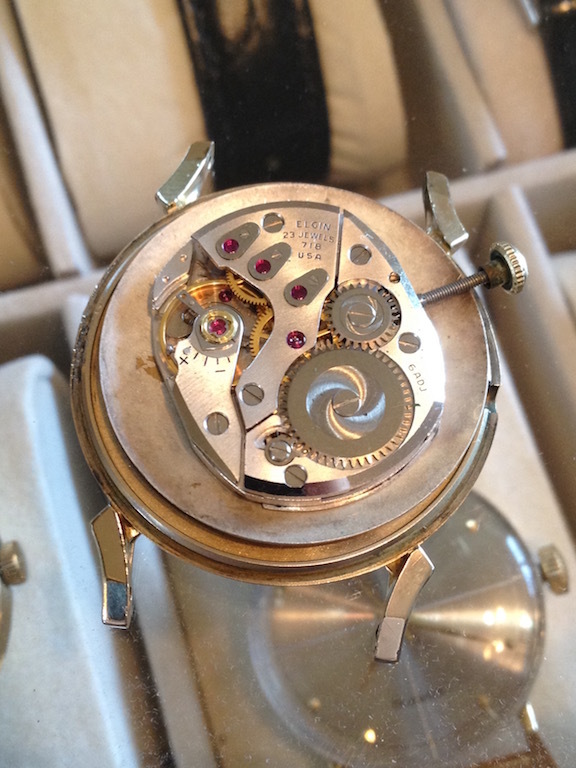 The dial has a dark gold/copper hue, with silver painted hour markers. 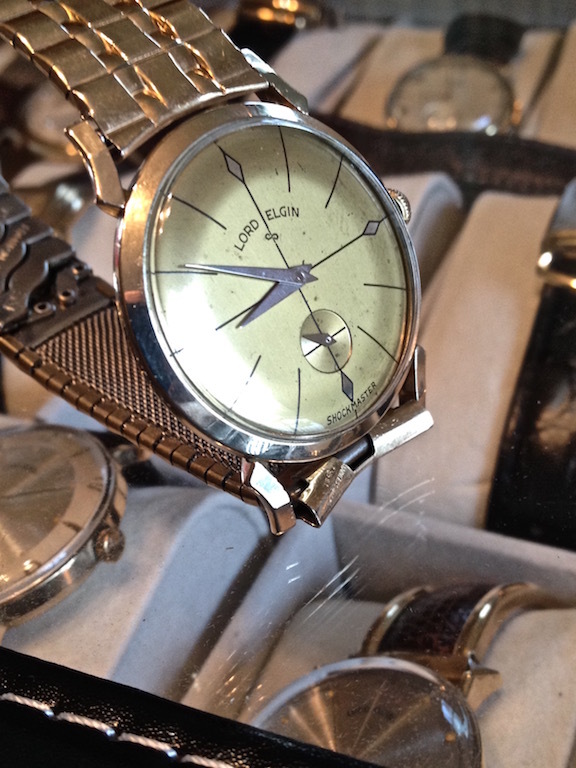 The hands are silver as well. 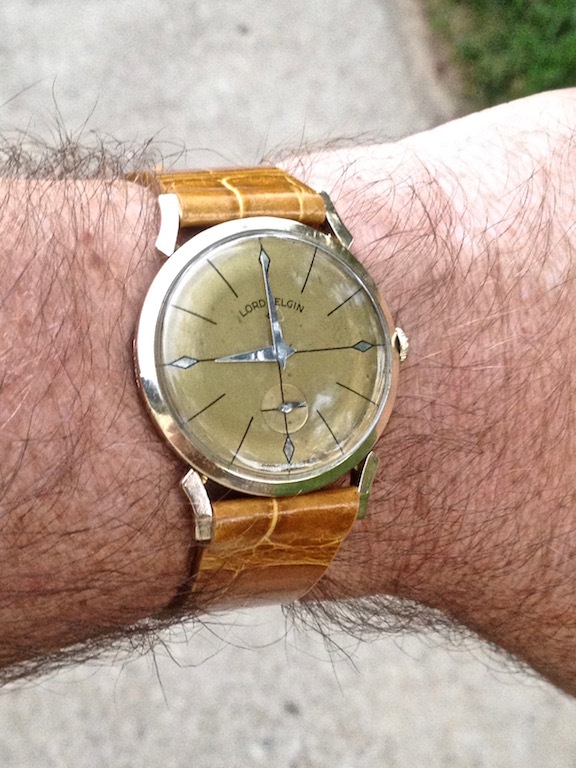 The dial has some patina, but overall looks good. 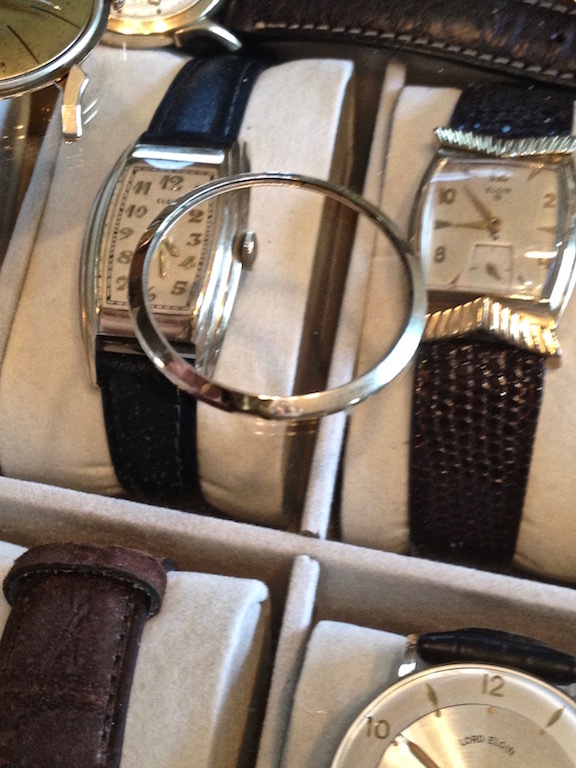 The case is in excellent shape.